Hannah landing her double axle during her performance during her home ice rink's yearly ice show. As a high school student, our days begin about 6:00 a.m. with each moan and groan as we roll out bed and get ready for another day of high school. While many of us, including myself, love to complain about how early we have to start our day, one person in particular begins her day much earlier and busier than any of us could imagine. At 4:00 a.m., junior Hannah Maloy climbs out of bed to maker her commute out to Buffalo Grove for an hour long ice skating practice. 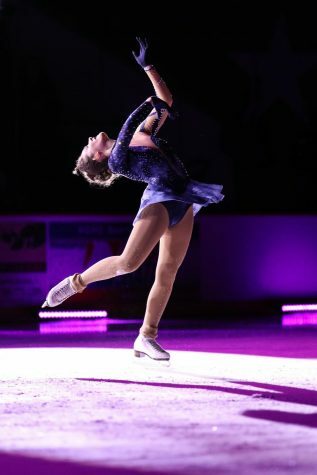 While some may believe her to be crazy for doing this, Maloy is proving her strength and skills by flying out to Épinol, France this Easter weekend where she will represent the United States in the Worlds Competition: Nations Cup. As any other momentous passion tends to begin, Maloy started her ice skating career early-on in her life. With joining such a competitive team, nerves are heightened and some may drop out due to fear of failure, but Maloy did quite the opposite, strengthening the team and each of their assets. Hannah Maloy performing a lay back during her individual performance. As the season progressed and the team’s choreography strengthened, the team excelled in competition, but nothing comes easy to this team and everything requires hard work and determination out of the skaters like Maloy. As a high school student, many us complain about our own morning routine and having to wake up as early as six a.m., meanwhile Hannah’s day begins way before school even comes into the picture. But with any success comes sacrifice. 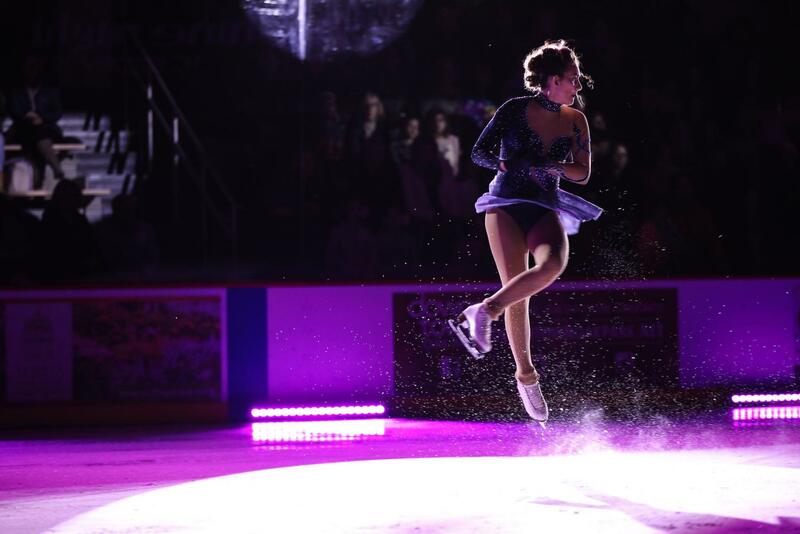 As a student athlete in two sports, Lacrosse and figure skating, Maloy has encountered busy schedules more often than not. 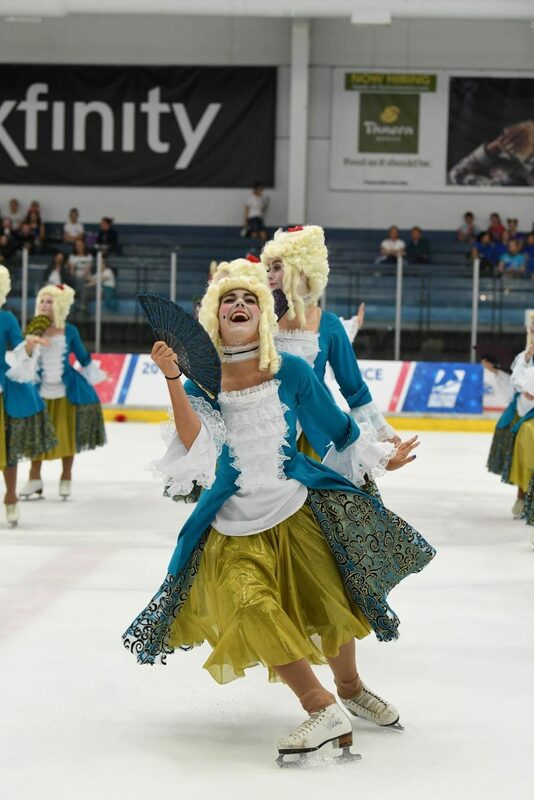 Even though limits have been tested with each sacrifice and early morning practice, Maloy and her team proved all of their efforts to be worth it by receiving the opportunity to represent the U.S.A in the Worlds competition, Nations Cup, in Epinol, France this year. Hannah performing her part as a leading role in her team’s performance during nationals. Just like any major accomplishment, everyone needs a support team to help them through the tough times and keep pushing for the goals they set their sights on. As momentum picks up and preparations for the Nations Cup competition are kicked into high gear, Maloy and her team prepare for the biggest competition of their careers thus far, ready to proudly represent the U.S.A with a huge fan base rooting them on at home.